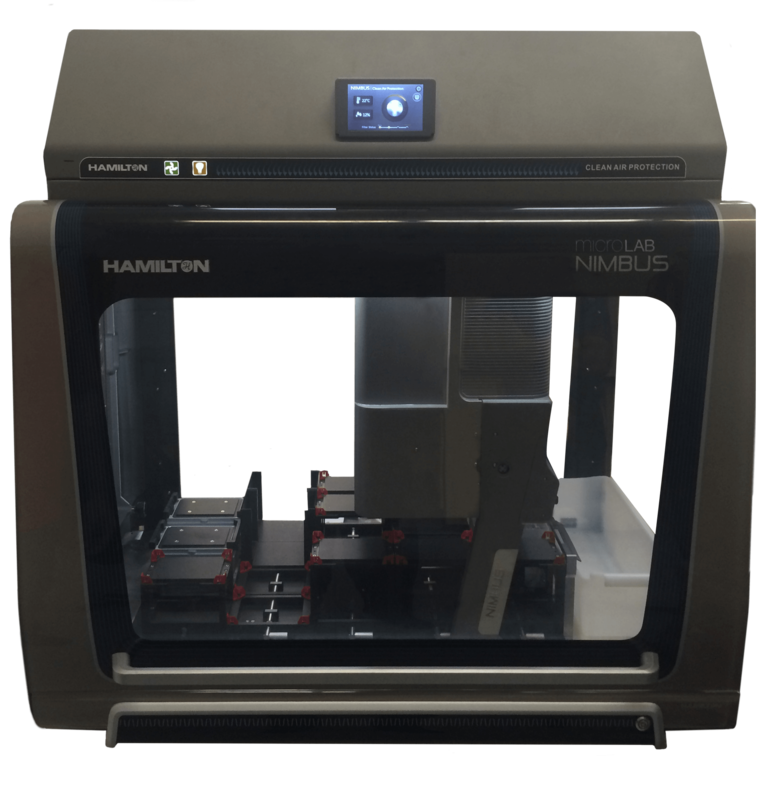 SAN DIEGO–February 23, 2018–Verogen, Inc. and Hamilton Robotics today announced a partnership to enable automated library preparation for forensic genomics applications. The ID NIMBUS® assay ready workstation from Hamilton has been specifically pre-configured and qualified to automate post-PCR sample processing using the well-known ForenSeq™ DNA Signature Prep Kit from Verogen. Forensic laboratories of any size that are considering the implementation of massively parallel sequencing (MPS) technologies into forensic casework can now efficiently prepare MPS libraries for up to 96 DNA samples extracted from even the most challenging forensic evidence while maintaining a high degree of confidence in their results. The ForenSeq DNA Signature Prep Kit is part of a complete, fully validated DNA-to-data solution, the MiSeq FGx™ Forensic Genomics System. This innovative solution generates more comprehensive data than conventional methods, with higher resolution than ever before possible, particularly for highly degraded DNA, low quality DNA, or complex DNA mixtures. The compact ID NIMBUS offers easy loading onto a high-density deck and includes four independent pipetting channels along with an ISO-certified positive pressure HEPA filtered clean air hood and UV filter to safeguard sample integrity. The software guides users through each step, and subsequent run files, including all robotic actions and sample locations, may be downloaded as part of case file documentation. Hamilton’s liquid handling tips feature patented CO-RE® (Compressed O-Ring Expansion) technology; with a precise lock-and-key fit that creates an air-tight seal and facilitates pressure sensing used for liquid level detection without creating splatter/aerosolization upon tip ejection. The system offers 2D and 1D barcode scanning to eliminate transcription errors and enable complete tracking documentation that includes a chain-of-custody record for each sample, correlated with its case and assigned analyst. In addition to increasing throughput, the automated system helps avoid repetitive strain and fatigue for users, and frees analysts to refocus their time on data interpretation and other activities. Verogen, Inc. is the world’s first sequencing company solely dedicated to forensic science. Serving those who pursue the truth using genetic tools, Verogen has a singular focus on advancing science to help unlock the true potential of forensic genomics. For more information, visit www.verogen.com. For Research, Forensic and Paternity Use Only. Not for use in diagnostic procedures. © 2018 Verogen, Inc. All rights reserved.